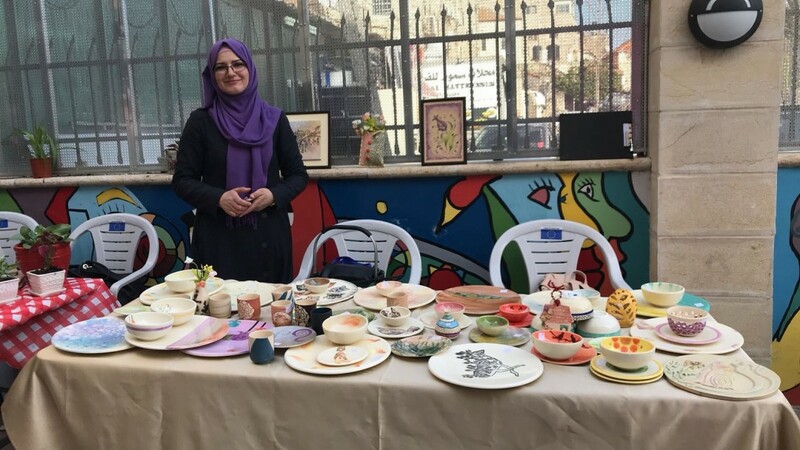 Burj AL-Luqluq ceramic students participated, on Monday 5th March 2018, in the International Women’s Week at Yabous Cultural Center and organized by the Italian Agency for Development, UN Women, FAO, UNFPA and the Spanish Cooperation. The talented Ceramic students participated with their spring-themed products, in addition to some products that relate to women and mothers to celebrate the occasion of both the Mother’s and Women’s Day. It is worth mentioning that the activity of Burj Al-Luqluq ceramic students comes within We’re the Change project executed by CISP and Burj Al-Luqluq and funded by the European Union.